Help us make a splash for the new Parks League season. 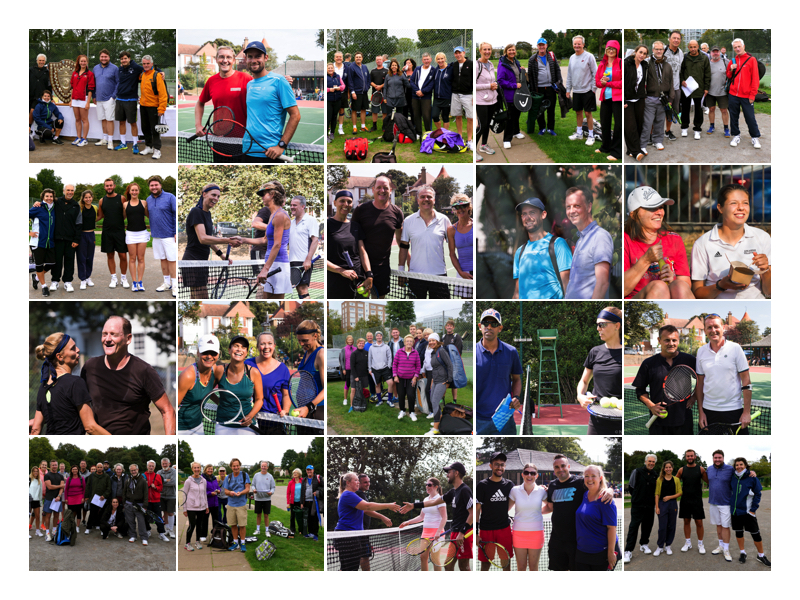 We are compiling a photo collage – like the one below, but larger – featuring as many BHPLTA Parks League players as possible. But we need your help. All you have to do is take a photo of your Parks League team and send it in by the end of Week 1, (April 16, 2019). It can be a team, or two, or just one, whatever. Just take a photo with your mobile phone (or camera if you have one) then send to news@bhplta.co.uk., identifying each team (eg. ‘Saltdean B’). Send as many as you like. Top tip #1: take photos before the match, not after. We’ll then use your photos to create a large, shareable collage featuring every team from the 1st, 2nd, 3rd and 4th Divisions. The more the merrier, and we won’t be too precious about photo quality. Why: This will be a fun and relevant way to get all 11 clubs (and 650+ players) involved and represented ahead the forthcoming season. The Parks League is a great competition – let’s tell everyone about it. Top Tip #2: Take a team photo in advance, at team practice. It doesn’t really matter where or when, as long as it’s your team. And you can mix As, Bs, Cs etc, or just have pairs. Top Tip #3: Take a decent number of photos, and edit out the rubbish ones. Top Tip #4: have as little ‘sky’ in the photo as possible. The images will come out less dark and blobby. Get snapping. We’ll share the results with everyone.